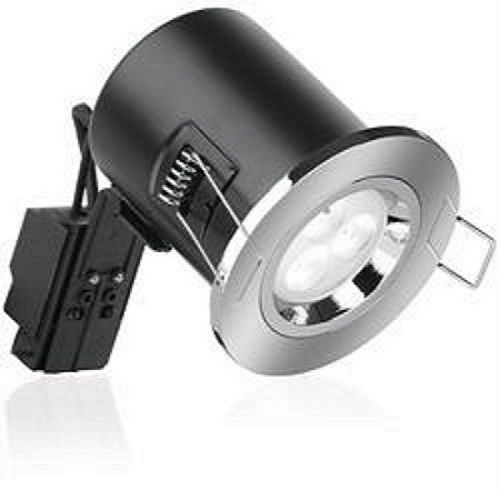 Aurora Enlite GU10 Compact Fire Rated Downlight Fixed,Tilt or IP65 rated. Integrated intumescent material completely seals the downlight and cut out in the event of a fire. with a 60 ° Wide beam angle. 500-540 Lumens rated at 25,000 hrs. All goods are sold as described in the listing. Non paying bidders will be reported. Please do not bid if you do not intend to buy. All goods are sent out the same working day if received before 3pm. Goods ordered after 3pm on Friday or on a weekend will be dispatched on the Monday except bank holidays on a 2-3 day carrier. Payment to be received no later than 7 days after end of auction. Copyright © 2018 cables electrical supplies UK. All Rights Reserved.